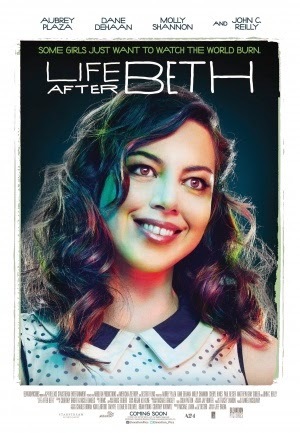 Life After Beth has a handful of laugh out loud moments - but it doesn't seem to offer much else. It excels in both slapstick and funny dialogue, but as many other people have said, the concept seems to work as a short gag - not translating well to a feature film. The plot is weakly drafted and lazy, and often contrives whatever it wants without a thorough explanation. While this isn't offensively bad for such a silly storyline, it makes the film come off as a massive vanity project. In spite of its weak narrative, Life After Beth does have some really solid performances from a talented cast, particularly Plaza and DeHaan, and John C. Reilly in a relatively small role. The script is also packed with some witty jokes and dialogue - unfortunately this isn't enough to save the film from being a relatively brainless affair, amounting to little more than a guilty pleasure.